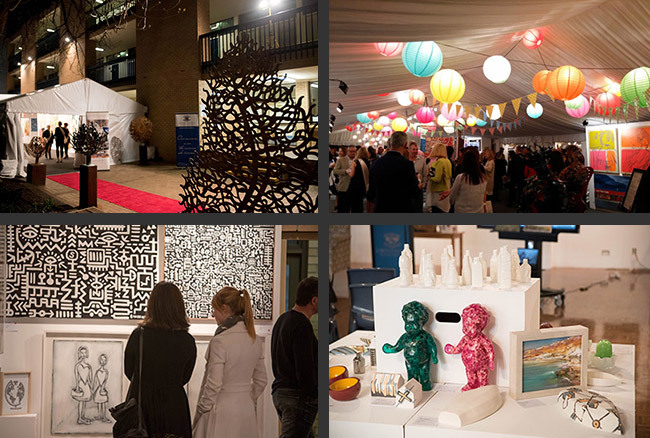 Created 34 years ago, the annual Loreto springART Exhibition has become one of South Australia’s most high profile local art events. More than 2000 people come to view the exhibition over the three days, with around 700 people flooding through the doors on opening night alone. It is a calendar highlight for many South Australians who love art; spread over three days to mark the beginning of spring. This year, the event will be held from Friday 7 September to Sunday 9 September and we invite you to join the celebration! Bill began painting in 2001, aged 40 and has exhibited in many solo and group exhibitions. Despite a love of art, particularly abstract, figurative and outsider art, he’d not thought to paint himself. Happenstance led to painting. In an attempt to share a hobby with his youngest daughter he realised a passion that gave him the courage to leave his job as a lawyer and devote his time to pursuing his love of art. Bill looks to create a tension between order and chaos and to leave some room to breathe. He revisits earlier themes in his work and experiments with technique, style, colour and abstraction. He uses black as his motif for the sheer contrast and structure that it can bring to a painting as well as the mood it evokes. 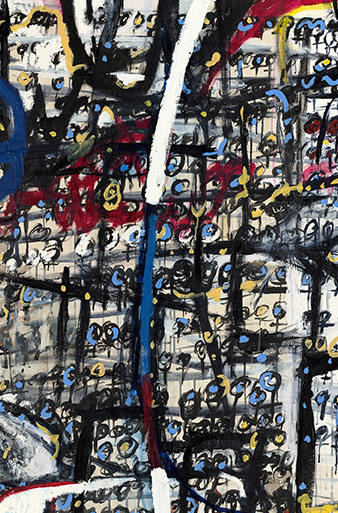 He draws inspiration from Ian Fairweather, Fred Williams, Jean Miro, Jackson Pollock, Jasper Johns and John Olsen. Bill wants his art to be approachable and to be seen. This is evident given the large number of works held in private and corporate collections, nationally and internationally. He exhibits nationally and has huge success in Hong Kong. Interdisciplinary artist Mary Ann Santin (nee: Reynolds) studied year 12 art at Loreto College, Marryatville in 1980. After 25 years in various marketing roles, her husband’s gift of an easel reignited her passion for art. Graduating from Adelaide Central School of Art, Mary Ann won the 2013 Helpmann Academy’s highest award of “Best New Talent” and completed a Masters of Visual Art and Creative Practice at the University of South Australia in April 2018. 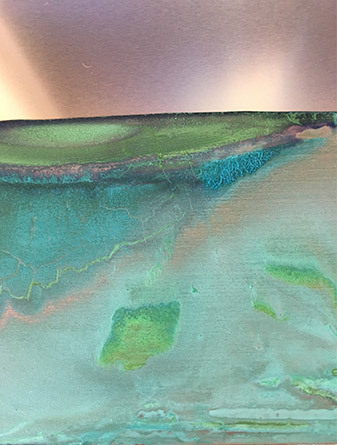 The two and three-dimensional works, made for Loreto Spring Art, will feature her fascination with cement casting and sulphur paintings on copper. Similar cement works featured at Palmer Sculpture Biennial and Hua Hin, Thailand this year. 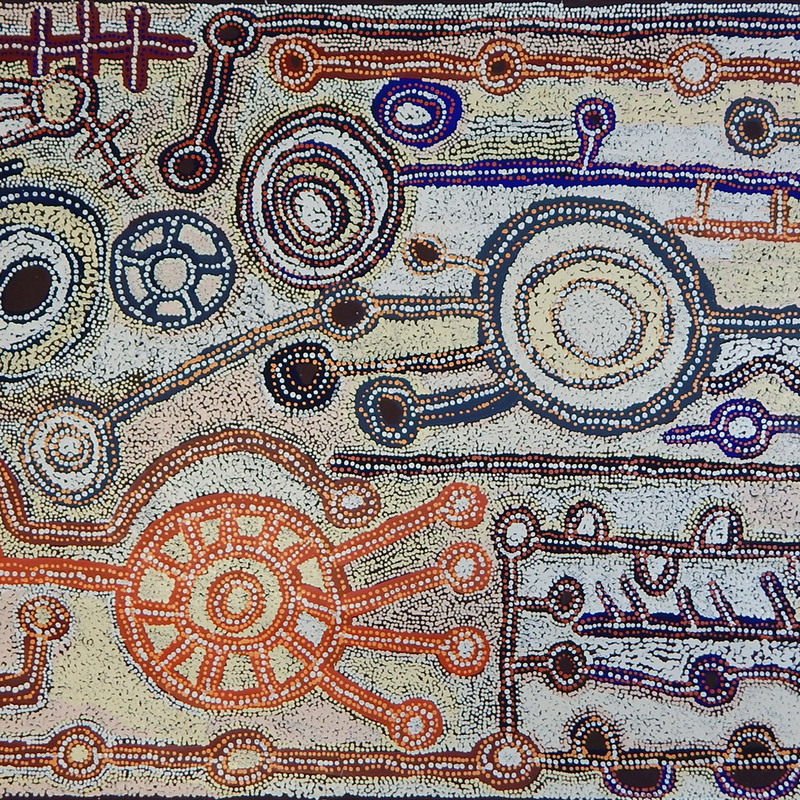 A comparable copper work is a finalist in the 2018 Waverly Art Prize, Sydney. Recent highlights in her emerging arts career include award winning Public and Community Art commissions and projects throughout Adelaide including the State Library of South Australia, Adelaide Airport and within the Adelaide City Council precinct. One of the few specialist Aboriginal Art Galleries in South Australia, Kiri Kiri Aboriginal Gallery proudly showcases affordable indigenous art from remote art centres, predominantly the central desert. Kiri Kiri Gallery sources art works ethically, direct from remote Australian art centres, a commitment to fair and transparent business dealings with Aboriginal artists. Aboriginal Artists represented are both established and emerging. Their paintings evoke the strength of culture through connection to country and depict landscape, flora and fauna and of course Dreamtime Stories of creation. Helen Johnson, the owner of Kiri Kiri Art lived and worked on the APY Lands from 2004 to 2013 as Art Centre Manager Iwantja Arts Indulkana. 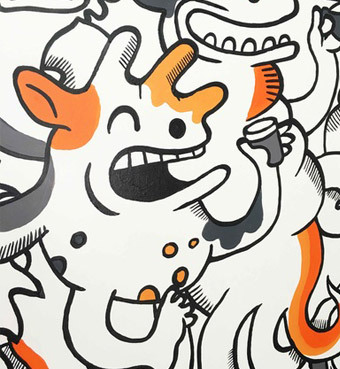 Wendy Dixon-Whiley is a Visual / Street Artist working within drawing, painting and experimental practice. Wendy is becoming increasingly known for her trademark playful yet mildly menacing style which incorporates experimental artistic practice with illustrative design principles and can most often be found at her studio space at the Hahndorf Academy. Wendy has held several solo exhibitions and participated in multiple group exhibitions. Her work is held in collections in Australia and internationally and she is also available for commissions and illustration work. Wendy will be starting a special live performance for Loreto springART 2018 in the exhibition area from 11.00am on Saturday 8 and the finished artwork will be available for sale. Every year, 3 Adelaide artists are invited to take part in the popular Star Portrait competition to capture the likeness of a prominent South Australian. This year, our Star Portrait subject is Award winning journalist and presenter on the Seven Network, Jessica Adamson. Join in the fun on Saturday 8 September at 2.00pm for the unveiling and find out which portrait Jess chooses as her favourite. Joshua Baldwin is a young, multi award-winning, visual artist painting in the realist tradition. He works in oil and is inspired by the play of light in his subject matter, whether it be portraiture, landscapes or still lifes. His work has been exhibited around the world, including in Paris and Philadelphia. 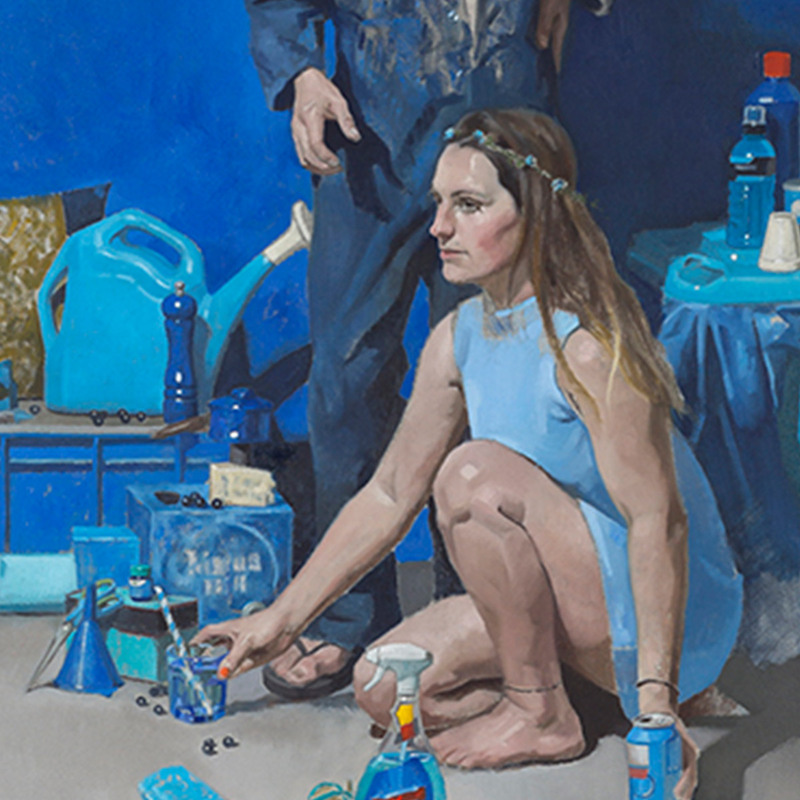 Andrew Clarke is an artist based in Adelaide, South Australia, whose work considers the role of figuration and narrative within contemporary painting practice. Andrew graduated from Adelaide Central School of Art in 2015 completing a Bachelor of Visual Arts and has undertaken previous studies in visual arts at the UNSW College of Fine Arts in Sydney. Andrew is a represented artist with the Hill Smith Gallery as well as a founding member and member of the committee of the artist run studio and gallery Floating Goose Studios Inc. Andrew teaches painting and drawing at both Adelaide Central School of Art and Flinders University (Education Department). Julia Townsend is a contemporary Australian painter working predominantly in abstraction. 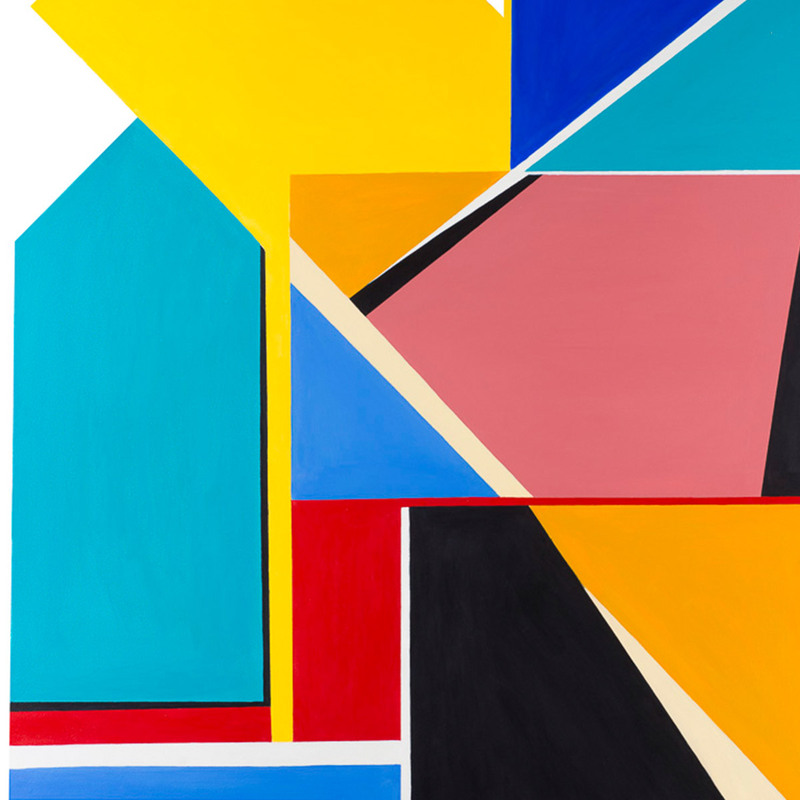 Her work features bright colour fields, hard-edge geometric abstraction and graphic line work, that reference architecture and the digital age. Julia is interested in abstraction as creating an open image that is beyond the boundaries of rational thought. She uses the presence of colour as the primary means of expression, alongside other pictorial elements. The field of abstraction grants Julia total risk, freedom and discipline that considers line, shape, colour and mass and how they interact with one another. 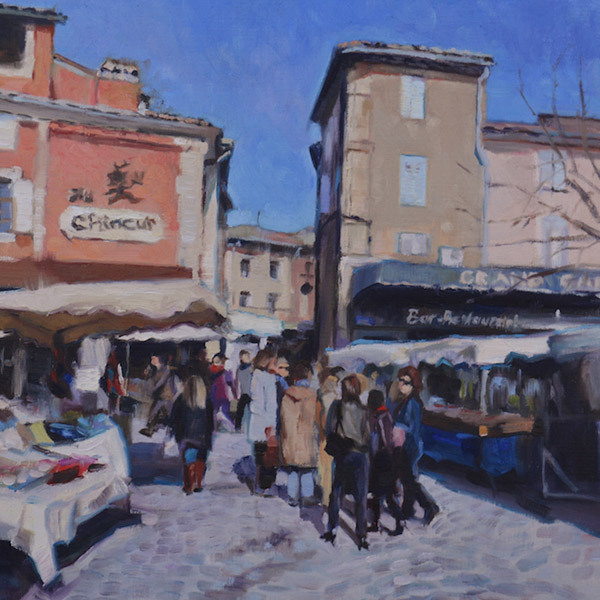 Julia has studied fine art in both Australia and France, and has exhibited extensively. Award winning journalist Jessica Adamson joined the Seven Network over two decades ago. 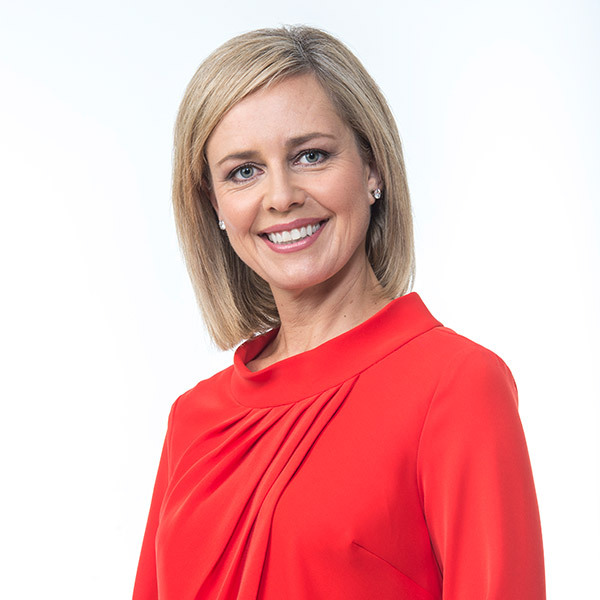 She has been the weekend presenter of Adelaide’s most watched news service, Seven News, since December 2014. After completing a Journalism Degree at the UniSA, Jessica began her career at the Stock Journal Newspaper with her upbringing on the family farm at Hallett, in the Mid North of South Australia, giving her a solid background in rural affairs. Jessica joined the Seven News team in 1997 and was the Seven News Crime Reporter for more than a decade. She has covered national and international stories including the Sydney and Beijing Olympic Games, the Tour de France, the Beaconsfield Mine disaster, the Bali bombings and the devastating Boxing Day tsunamis, where she spent time reporting from the devastation in Banda Aceh. In 2015 she was named the Best Broadcaster of the Year at the SA Press Club Awards and has won SA Journalist of the Year (2006), SA Institute of Justice of Police Media Award (2003) and a Citation from the Archbishop of Adelaide (2005). Jessica is a passionate ambassador for CanTeen the Australian organisation for young people living with cancer, as well as the Royal Flying Doctor Service.